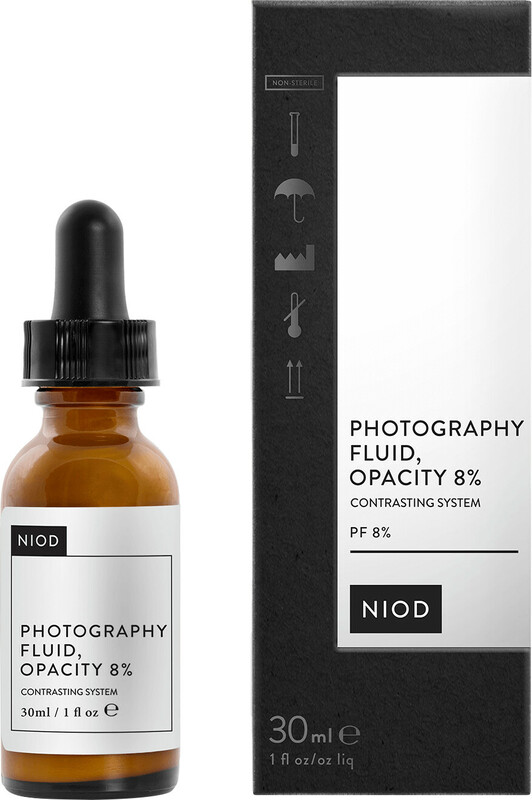 Get camera ready with the NIOD Photography Fluid Opacity 8%, a next-generation surface treatment that gives skin a golden glow. 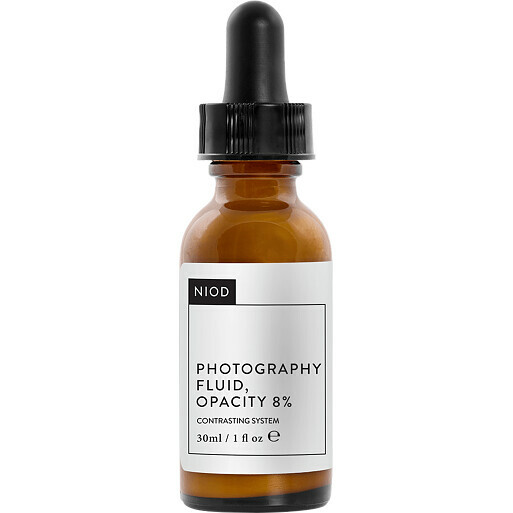 Designed to add radiance both in person and specifically through the camera lens, the Photography Fluid Opacity 8% harnesses the power of perfecting prisms and topical photo-finishing technologies to transform the skin and reduce signs of uneven skin tone and redness. Chromatic radiance technologies, including nano-prismatic gold and bronze, work at the heart of this innovative formula to give the skin a natural bronzed hue, for an instant boost of radiance. The glow-enhancing formula also contains hue technologies and a hydrophilic polymer system, which help to counteract imperfections, while filmogenic polymers offer all-day hydration, for skin that looks healthy and glowing. This serum-textured formula can be used alone, or alongside the Photography Fluid Opacity 12% to create a natural contouring effect. The formula can be used under, over or mixed with liquid foundation if coverage is desired. Alcohol-free, oil-free, nut-free, cruelty-free, vegan.